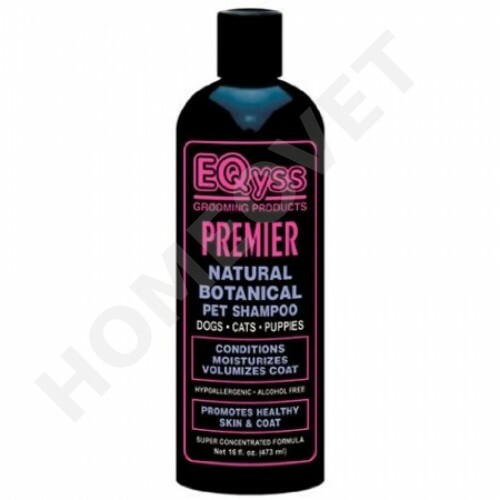 Premier Natural Botanical Shampoo is the only pet shampoo that leaves the hair shaft completely clean, not coated with wax, oil, petroleum by-products, or synthetic polymers which are found in all other pet shampoos. 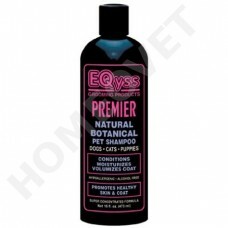 Premier shampoo lets the hair accept moisture from the air, which is what hair is supposed to do. Absolutely the finest shampoo ever made for pets or humans! Conditions and volumizes coat. Dry flaky skin disappears. Rinses clean easily and leaves no residue. Coat dries up to 50% faster. Anti-static. NON-TOXIC. Environmentally friendly. DEA FREE. Best results are seen in combination with Premier Natural Botanical Spray.